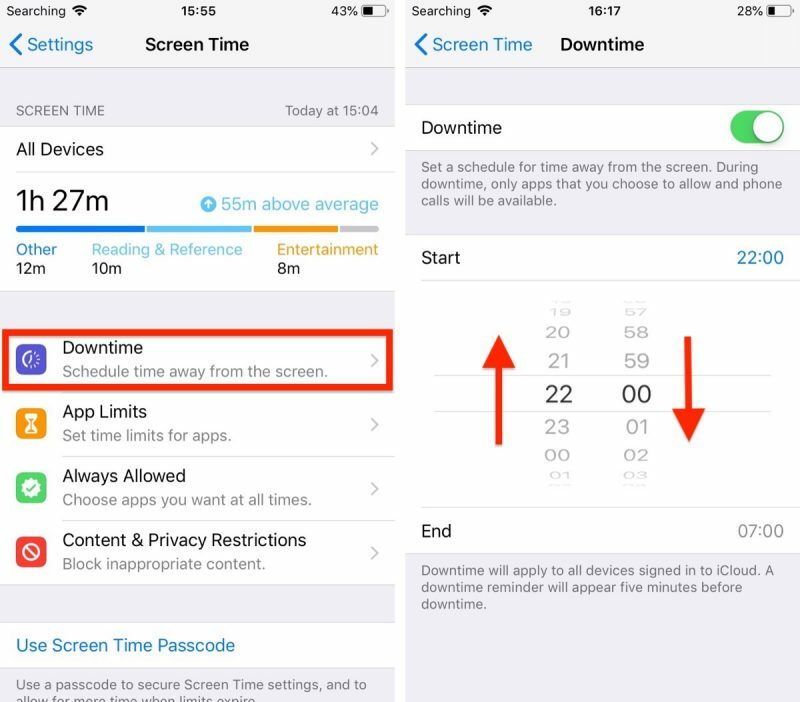 In iOS 12, Apple's digital health push includes a couple of special new features for iPhone and iPad users who want to cut down on their app usage: App Limits and Downtime. In this article, we'll show you how to use them. 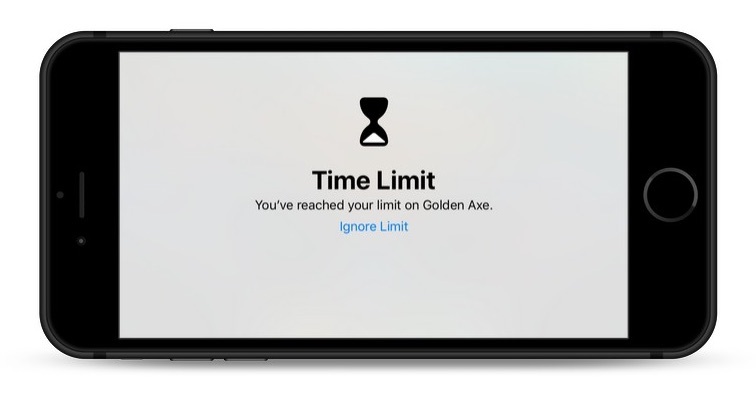 App Limits allows you to set specific time limits on a particular app category (games, for example). When you've spent the designated time using the app category, iOS sends you an alert notifying you of the fact. 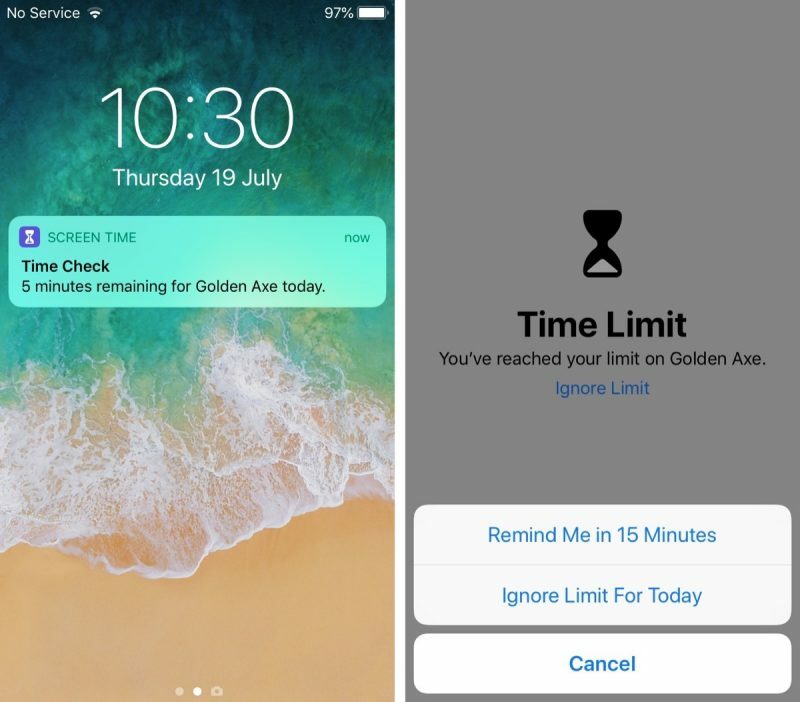 Of course, you're free to ignore these alerts, but the idea behind them is that they'll help you manage your time better. The second feature, Downtime, enables you to set a daily schedule for when you'd rather not use your iOS device at all. Once activated, the feature restricts device usage to phone calls and any apps you've specifically exempted from Downtime. 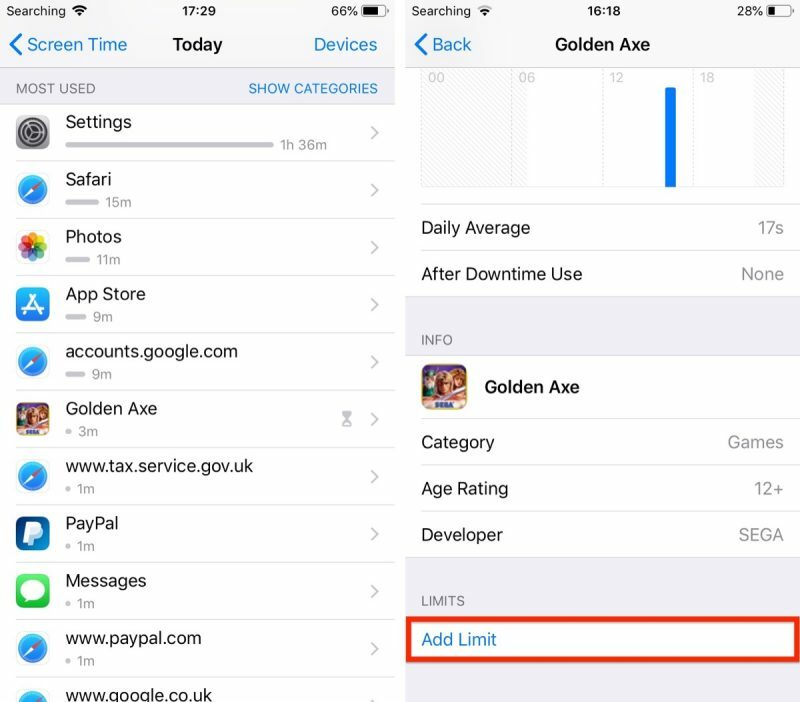 Like App Limits, you can override these restrictions – they're more like good guidance than anything else, and can still help if you honestly want to self-regulate your mobile usage. Tap the Screen Time graph for this device. Alternatively, tap All Devices. Scroll down to the Most Used list and tap an app you want to set a limit for. Tap Add Limit at the bottom of the menu. Select a time limit using the hour and minute wheels. If you want to set different limits for particular days of the week, tap Customize Days. Tap Add to apply the app limit. Tap the categories in the list that you'd like to include in the limit, or select All Apps & Categories. Tap Add in the upper right of the screen. Select a time limit using the hour and minute wheels. If you want to set different limits for particular days of the week, select Customize Days. Tap Back when you're done. 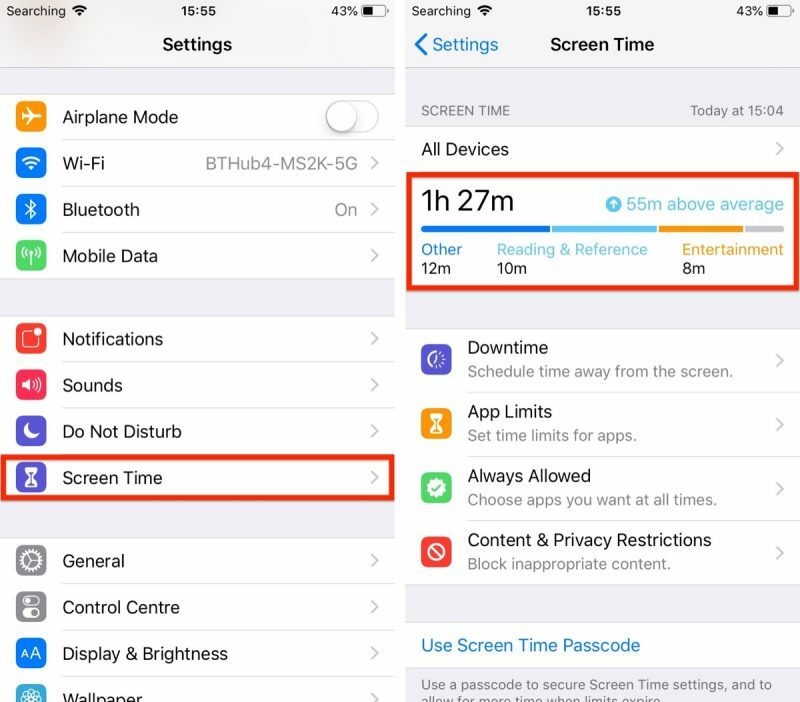 Add another limit if desired, or tap Screen Time to return to the main Screen Time menu. When you're approaching a designated limit, iOS will alert you in advance with a standard notification. When you finally reach the limit, the alert will take over the screen. If you want to override the custom limit, simply tap Ignore Limit. You can then select either to Reminded Me in 15 Minutes or Ignore Limit for Today. 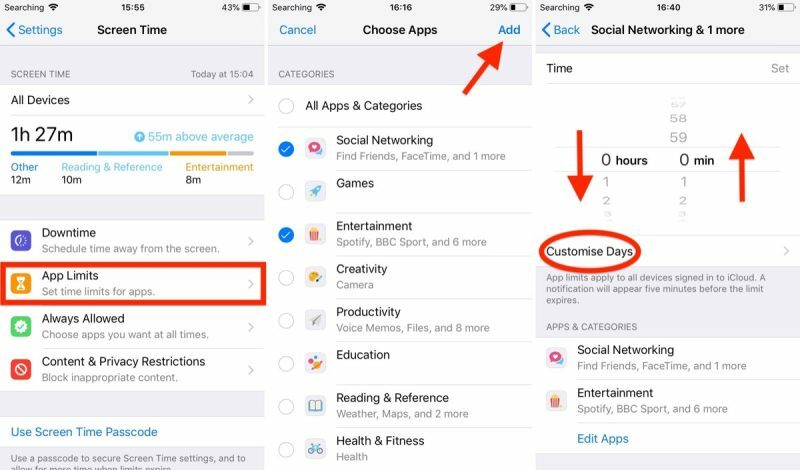 To delete app category limits and individual app Limits at any time, go to Settings -> Screen Time -> App Limits, tap on the limit you want to remove, then tap Delete Limit. Slide the Downtime toggle to enable it. Select a Start and End time using the dropdown hour and minute wheels. 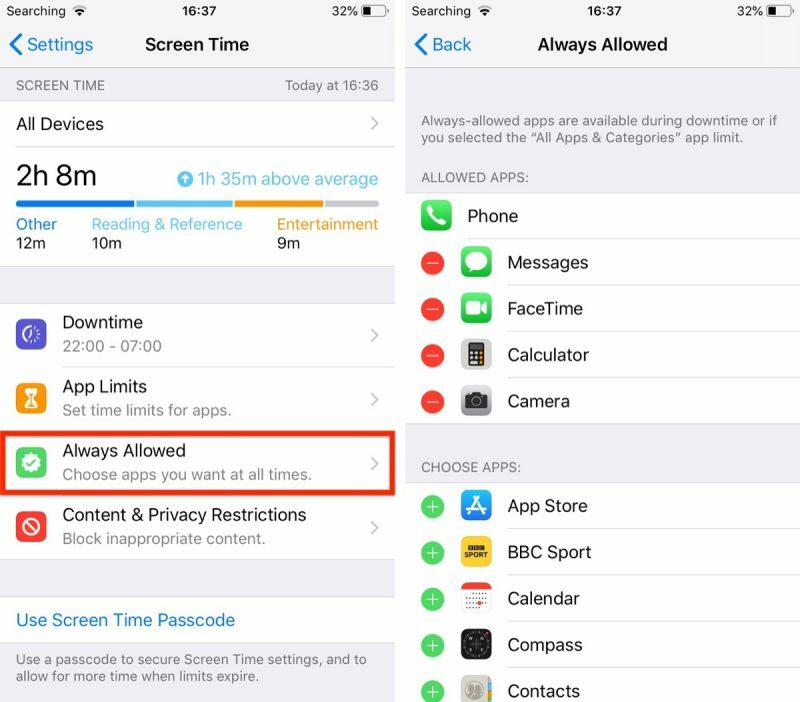 If there are particular apps which you'd like to remain accessible during Downtime, you can add these to your Allowed Apps list, located in Settings -> Screen Time -> Always Allowed. Simply tap the green plus buttons beside apps that you want to add to the list, or the red minus buttons to remove them. Only if you give them the passcode you set up when you enable Time Limit. No, I just tested it. There is no passcode required to tell it to ignore the time limit. Edit: Oh, you're right! You have to turn on the Content and Privacy Restrictions (under a different menu item) to make it prompt them for a password. If your kids have separate devices and their own appleID set up as part of the family, they will need to request permission from you to extend their time limit. would be good to know how this works with family sharing. Eg can kids be set up so they can't ignore the limits? If they hit a limit can they request an extension from the parent? As a parent, there has to be way to completely ban an application. Currently, you have to assign at least 1 minute of time. This is not a good parental control. Also, there is too much "security" based on Apple's view of app categories. If I want my child to use one "Social Networking" app and not others, there isn't a good way to do that except granting "Always Available". Then the downtime limits don't apply. It looks like Our Pact or other parental controls will still be required in IOS 12. You can download Apple Configurator on your Mac (if you have one) and create a configuration profile that blacklists certain apps. All I can say is it’s about damn time. This feature is AMAZING! I’m able to lock down my two younger sons iPads and my daughters iPhone. They can request more time (similar process to requesting app purchases), and I can grant an extra 15min, 1hr, or remainder of the day. Single greatest iOS feature addition since the App Store!!! Yep, they can request more time per app, and you can approve for an additional 15min, 1hr, or remainder of the day. You can set a password to prevent that.